Cancer survivors can receive free admission for the February 3 game against Indiana State for themselves and a guest if they register in advance online at GoRedbirds.com/Play4Kay. 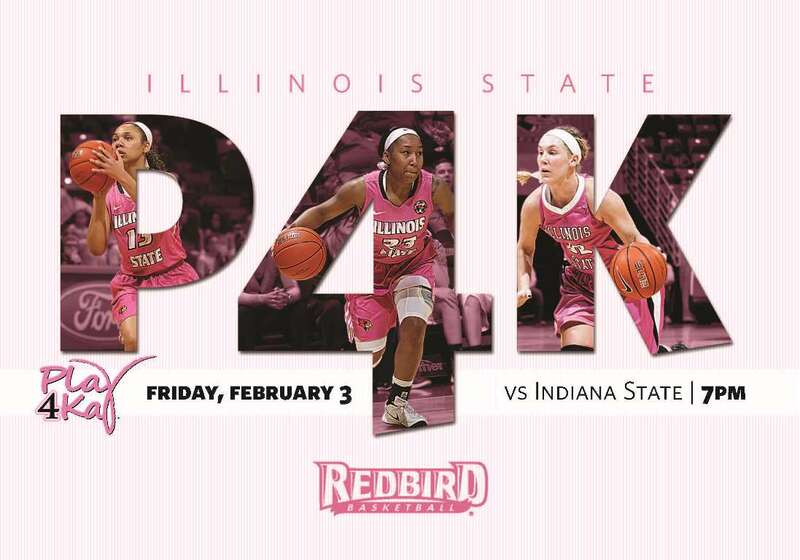 Mennonite College of Nursing and Redbird Athletics will host a reception before the Redbird women’s basketball team’s Play 4Kay game in honor of the Kay Yow Cancer Fund. Cancer survivors, those currently battling cancer of all kinds, and their families are invited to attend this event. When: Friday, February 3; reception from 6-7 p.m and the game (Illinois State vs. Indiana State) starting at 7 p.m. Registration: If you would like to attend the pregame reception, sign up online at GoRedbirds.com/Play4Kay by Friday, January 27. Tickets for the Play 4Kay game are only $1! To purchase tickets in advance of the game, contact the Illinois State Athletics Ticket Office by phone at (309) 438-8000, or in person at one of the Athletics Ticket Offices located at Redbird Arena and Hancock Stadium, which are open from 9 a.m. to 5 p.m., Monday to Friday.